FUE is the method that the doctor remove the donor hair by extraction and then transplant it to the recipient area with the same technique as we use in FUT method. The only different is in the process of removing the donor hair. 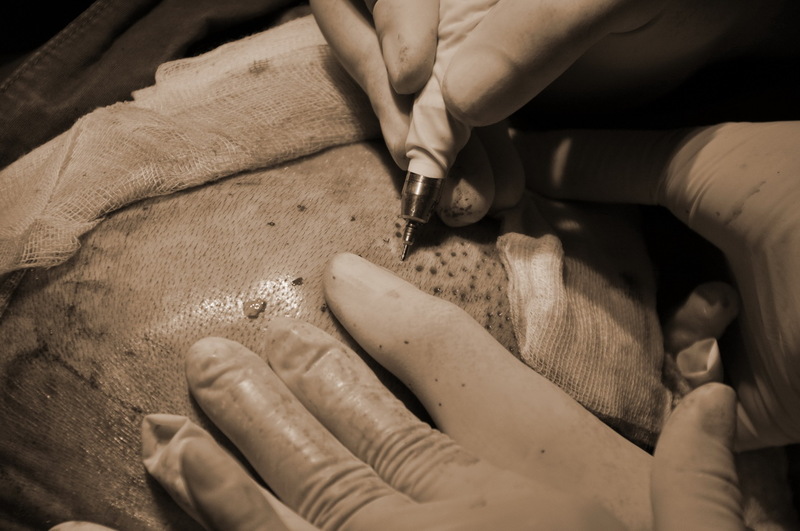 FUE is less evasive in a way that the skin is not cut using a blade but instead, the grafts will be taken using small punch holes. so you will have 1,000 – 1,500 punch holes at the donor area. 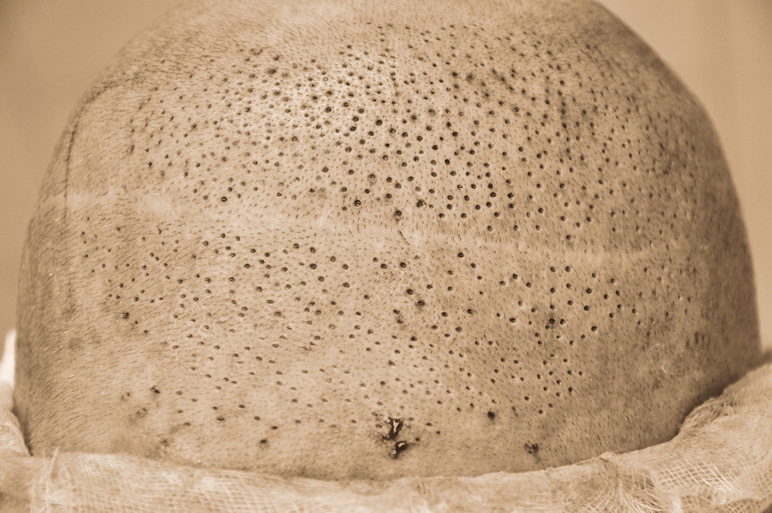 The scar for FUE will be small punch holes (1,00 -1,500 holes) compared with FUT/ strip which is a thin straight line.